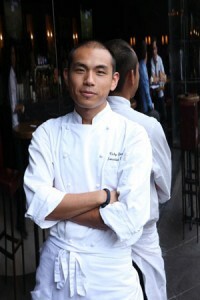 So, there’s a new chef taken over at LPW and LEX: Vicky Cheng – a Canadian who comes with a good pedigree. He trained under the much decorated and successful Daniel Boulud (for the less gastronomically inclined, that’s Daniel from TV’s “After Hours with Daniel”). Sadly Chef Makoto Ono has returned to Winnipeg, Canada, to take over the helm at the family restaurant Edohei, as his father is ill. If ever I happen to be in Winnipeg, I shall definitely be visiting. If you didn’t know how lucky Hong Kong was to have Makoto Ono here for a short while, or if you didn’t ever eat at Liberty Private Works (previous review here), you can read more about him on James Chatto’s website, and Vicky Cheng also get’s the thumbs up. I haven’t been to Liberty Private Works for a while now, but find myself at Exchange quite often. It’s one of the restaurants in the IFC environs you always seem to be able to get a table at when you book half an hour before lunch (make of that what you will), and they have a really reasonably priced set menu with pretty solid fare. I went last week in fact and tried their sous vide dishes. One was a baked egg and the other was a salmon fillet. The flavour of the egg was amazing, but it took a little getting used to the egg-white being the same texture as the yolk, and looking undercooked even though it wasn’t. The same goes for the salmon really. Great taste, but I didn’t go a bundle on the texture – I now understand why most chefs will quickly fry or grill off meat and fish once cooked this way. I appreciate that technically it was an impressive piece of salmon, but it would have helped if it had looked appetizing too. 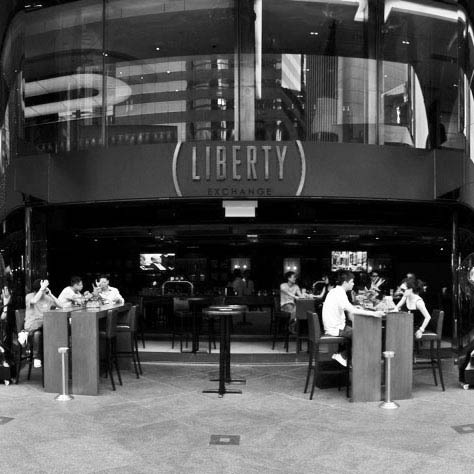 Liberty Exchange: Podium level, 2 Exchange Square, Central . Opened from Monday through Sunday for lunch and dinner from 10am – 11pm. Tel: 2810 8400.